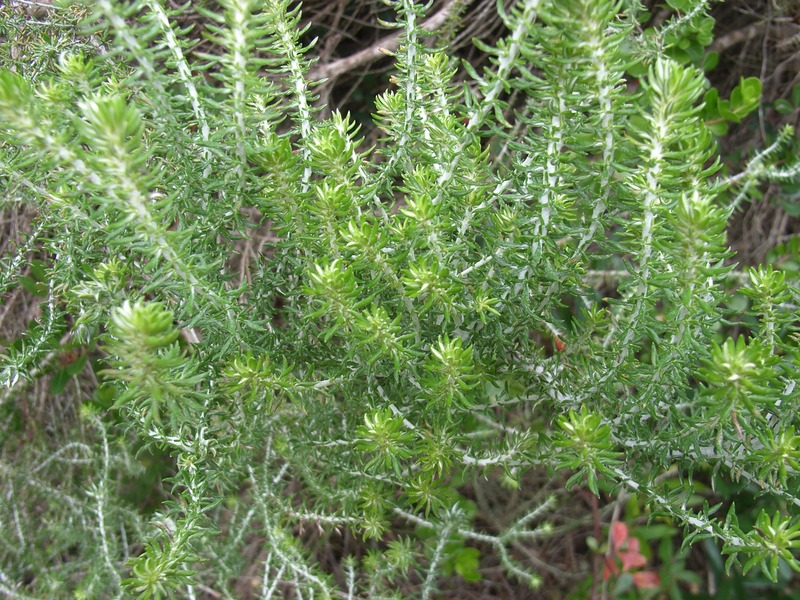 Much branched rounded shrub with narrow, needle-like grey-green leaves which grows vigorously on the Northern shores of Leisure Isle and at Bollard Bay. Masses of white, pink, red or purple honey-scented flowers are displayed attractively in flattish heads at the tips of erect branches. 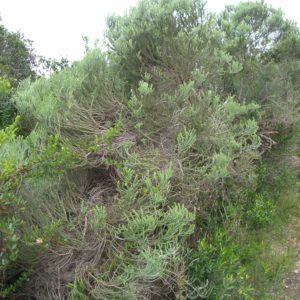 Also referred to as the White Bristle Bush and used for stabalising coastal dunes.